Size: 42 in. x 40 in. 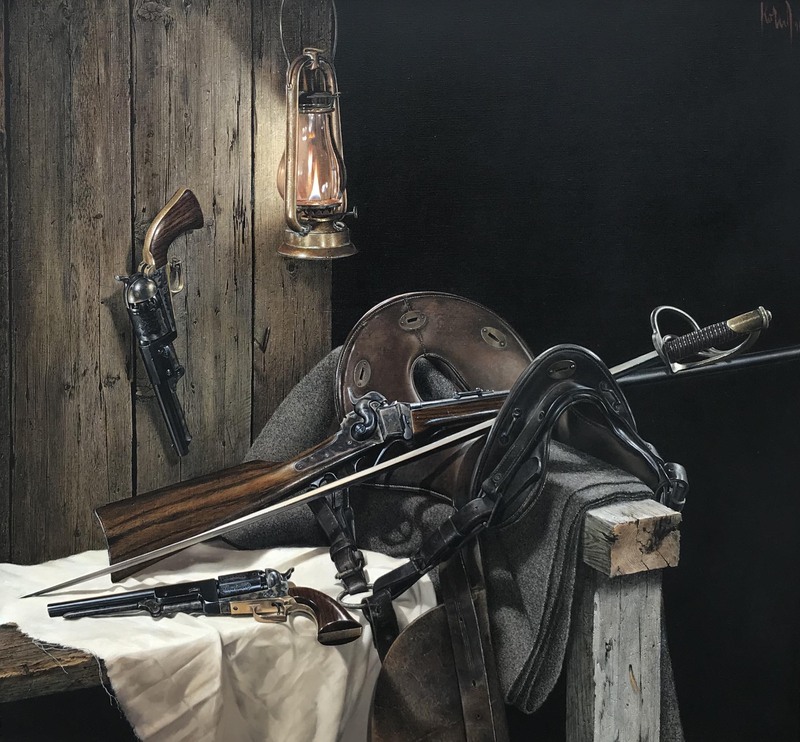 The authentic Cavalry saddle, lantern and six shooter were used in several compositions by Gunter and were among his favorite subjects.